As we enter into the Holiday season and celebrate Thanksgiving, I want to bring attention to this beautiful time of the year, and to focus on what it truly means to be thankful. To be thankful for what we have been given, and to live in America, a country where we are free and have certain liberties. In today’s society, I feel we get caught up in wanting more – wanting to be more successful, wealthier, prettier, smarter, and stronger. We always want more. There is nothing wrong with wanting more and wanting to be better, but it becomes detrimental when that is all we focus on. We tend to forget the important things in life, and forget how blessed we are. I have seen firsthand people who have nothing, and yet they still have joy in their hearts and are thankful for the simplest of things. A few years ago I had the opportunity to travel to the beautiful country of South Africa. Going on a mission trip to Africa was always a dream of mine and something I was passionate about doing. I went through an organization called Global Expeditions, and it was my junior year of college at Texas State University during my Christmas and New Years Break. I flew out of Houston and met my team in Washington D.C. and we flew to Johannesburg, South Africa. I was there for two weeks. We went into the impoverished squatter camp communities of Kya Sands and Diepsloot. While there, my team and I were able to share our Christian faith, pray with the people, bring water, and help with daily tasks needing to be done. We saw how another part of the world lived. Dirt roads and dirt floors with tiny houses made of cardboard, mud, and wood. It was humbling and heartbreaking. I saw people who had nothing, but were grateful. They were thankful for a hug, a helping hand, water, and shelter. I remember the tears, the smells, the sounds, and the hearts of people I met. We were able to love on the children and adults, sing songs and dance. 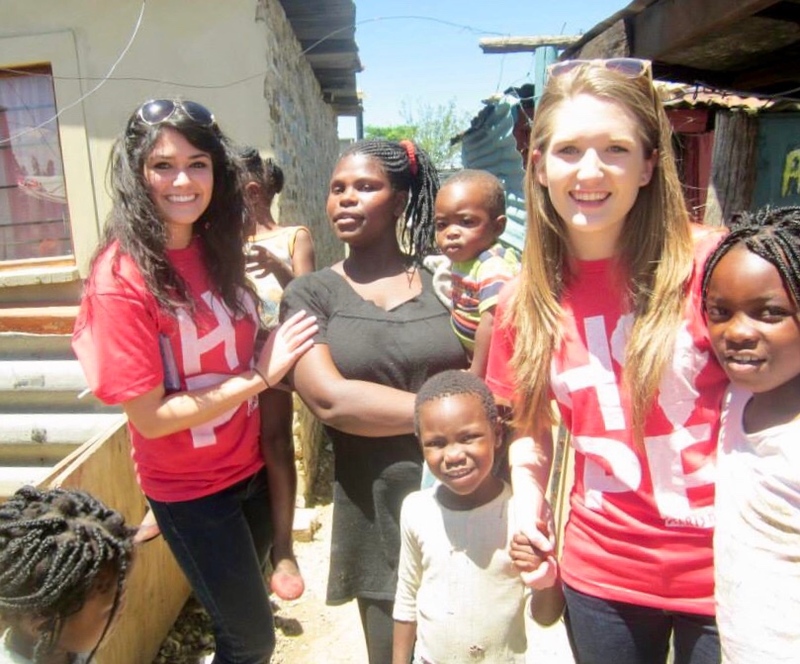 We volunteered with Impact Africa and helped with their Impact Kids program. It is a non profit organization that provides quality Christian education to underprivileged and at risk children who are in preschool. The organization also has an Impact Baby Rescue program. This program rescues babies that are abandoned when moms are unable to care for their child. On my flight home I remember thinking about all I had experienced and seen. My eyes were open to a whole new meaning of life and a new perspective of being thankful for what I had – to live life with joy, abandonment of fear, and to thank God for all that he has given me. After getting back to the States I decided to sponsor a little girl’s education through Impact Africa. She lived in Kya Sands, one of the villages I visited, and her name is Ayanda. Being able to sponsor her while back in the States was very meaningful to me. I recently started sponsoring a little girl named Amanda from Guatemala through the organization, Food For The Hungry. I am passionate about child sponsorship because I have seen the places and the children who are positively effected by child sponsorship organizations in the world. My friend and role model, Joanne King Herring says, “help people help themselves”, to teach, uplift and encourage others to be the best they can be. Nelson Mandela once said, “education is the most important weapon in which to change the world”, aside from love. 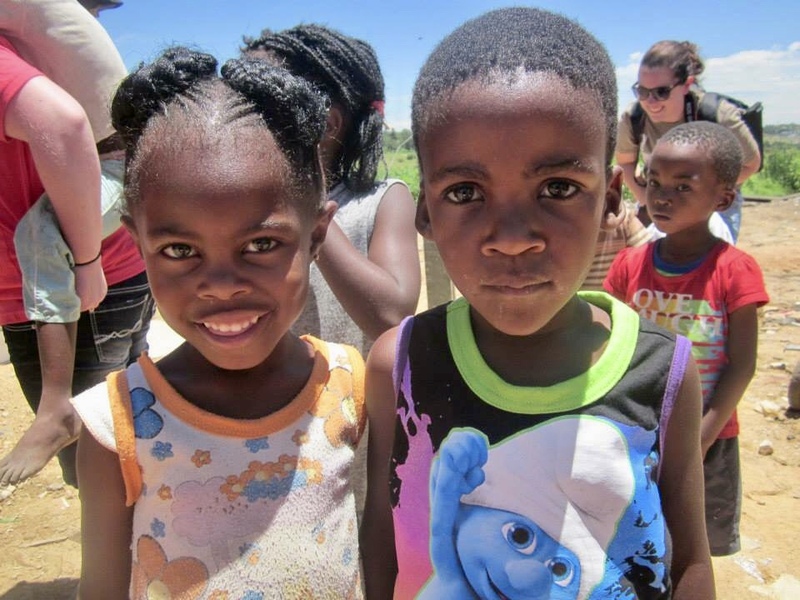 I went to South Africa in hopes of changing lives and helping others; however, it was my life and my heart that was changed. This Thanksgiving I want to encourage everyone to be thankful for what you have. Be thankful that you have a roof over your head, food, clean water, and healthcare. Be thankful for your home, your education, and your job. Be thankful for your family, friends, and loved ones. Be thankful for this one precious life that you have and never forget how very blessed you are. If you would like to contact me please email blainejanell@gmail.com or go to my website www.beautywithblaine.com Also, if you would like to sponsor a child’s education or provide food for a child in need, please contact me and I can recommend incredible organizations through which to do so.